USA Insulation franchise opportunities in South Detroit, Michigan! Are you ready to seize opportunities for business ownership in Detroit? If so, USA Insulation has a multi-million dollar business opportunity waiting for eager entrepreneurs looking to buy an insulation franchise in South Detroit, Michigan! Known as the epicenter of the car industry in America, Detroit often goes by the nickname “Motor City” or “Motown.” Housing some of the biggest names in the auto industry is just one of the many features that make this lively urban city great! According to Forbes, Detroit has been focusing on the role of small business development as part of the city’s ongoing revitalization, putting it on the map for entrepreneurs. Prosper US Detroit – By eliminating barriers and focusing on micro-enterprise development in low-income areas, Prosper US Detroit has enabled the community to thrive in the new wave of entrepreneurship that has come to the city. Bamboo Detroit – Local entrepreneurs saw a basic need to provide a collaborative hub for Detroit’s aspiring entrepreneurs. Their main focus is to connect, grow, and work together. Detroit Economic Growth Corp – DEGC is dedicated to strengthening the city from the inside out, providing government resources and guidance to those looking to establish a business in Detroit. Looking for more info on the USA Insulation franchise opportunity in Detroit? Complete the form below. Why should you open a USA Insulation franchise in Detroit? Starting a business takes a lot of research, especially if you’re not sure what kind of business will be right for you. And choosing a location? That takes even more planning! Luckily, USA Insulation can help eliminate these two obstacles by offering an insulation franchise with a proven business model and providing opportunities in South Detroit. With the majority of Detroit’s homes built on average around 1939, that translates to around 120,000 homes that could be in need of insulation services. 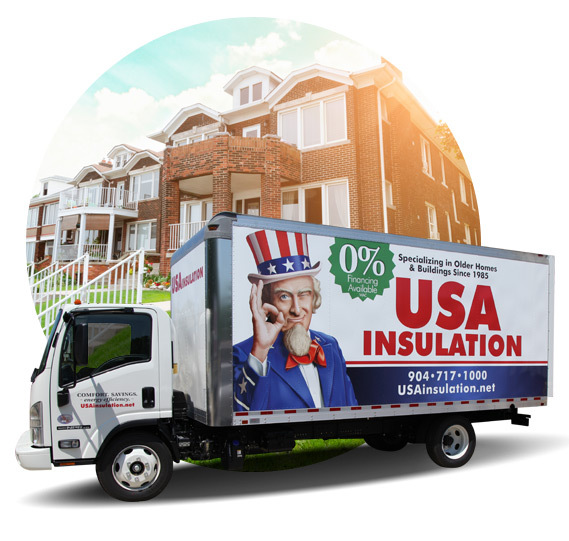 As a USA Insulation franchise owner, you can take advantage of the insulation opportunities in the area along with low market competition and a protected territory in South Detroit! With an ongoing revitalization, access to valuable resources and the potential for insulation services in the majority of the city’s older homes, owning a USA Insulation franchise in South Detroit just makes sense. Start giving back to your community today by contacting our franchise development professionals to learn more!